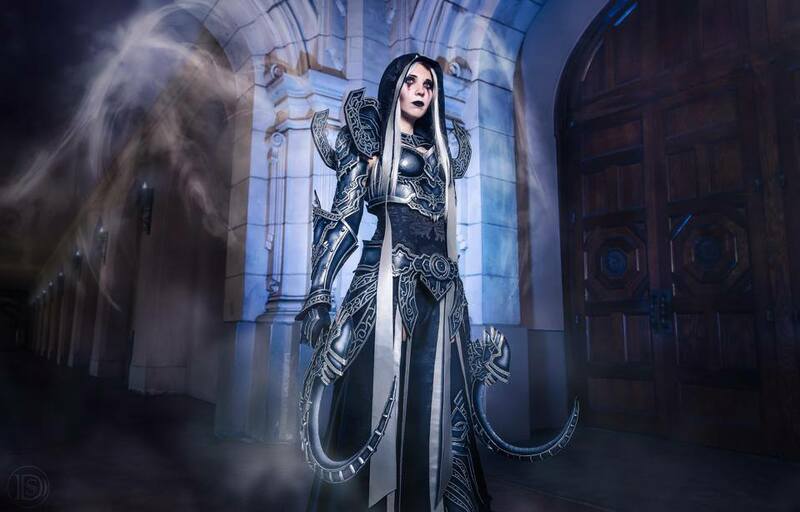 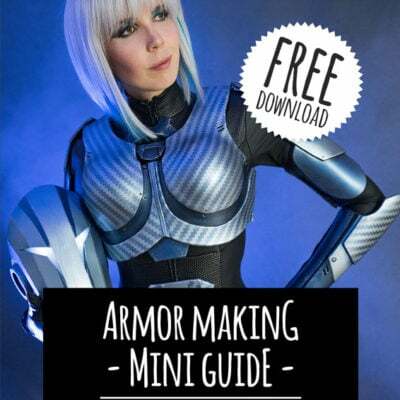 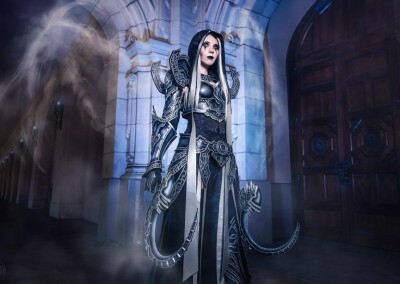 I actually made my female Malthael costume just because I really wanted to build his weapons. 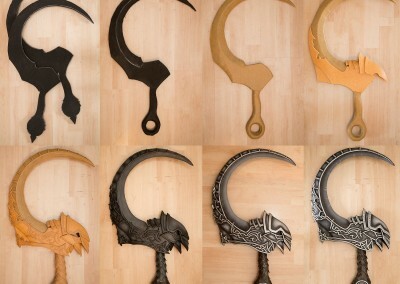 Once I build the scythes they did not really have a purpose so I had to do it. 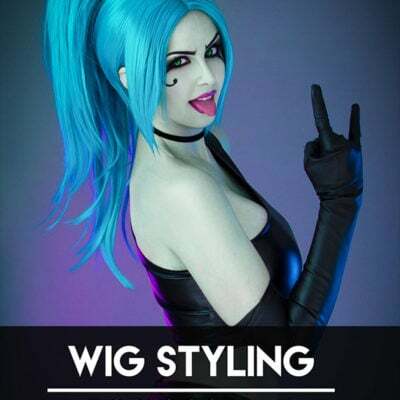 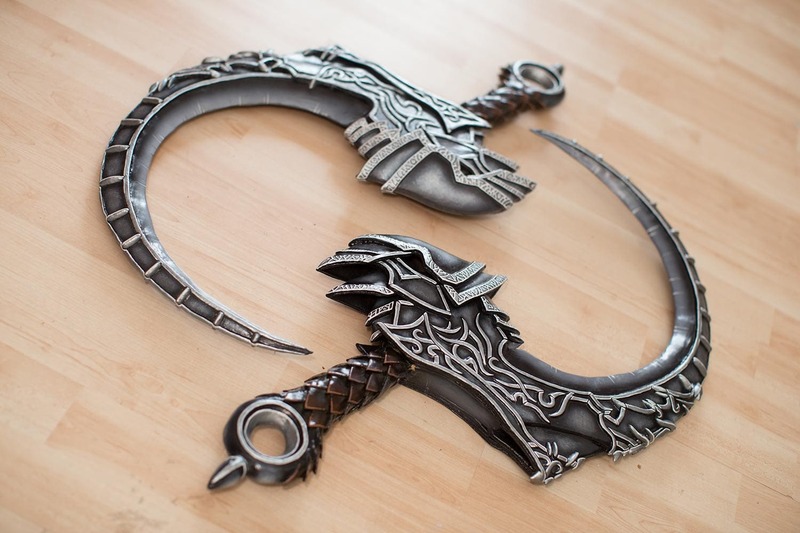 Both scythes were created in only two days and the whole genderbend Malthael costume in one week since I wanted it to be ready for San Diego Comic Con in 2014. 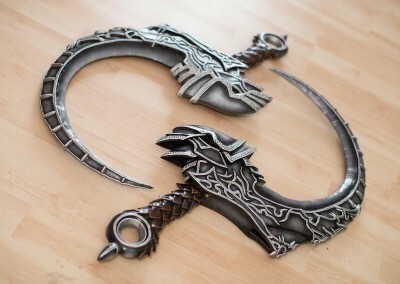 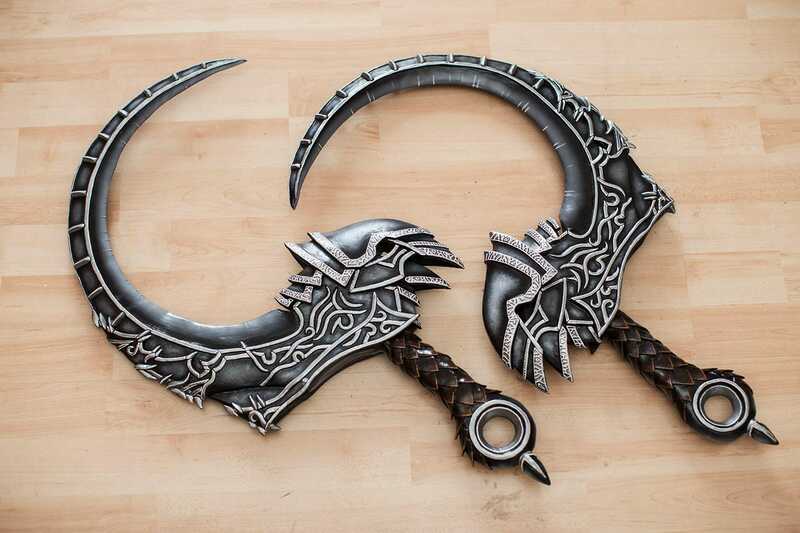 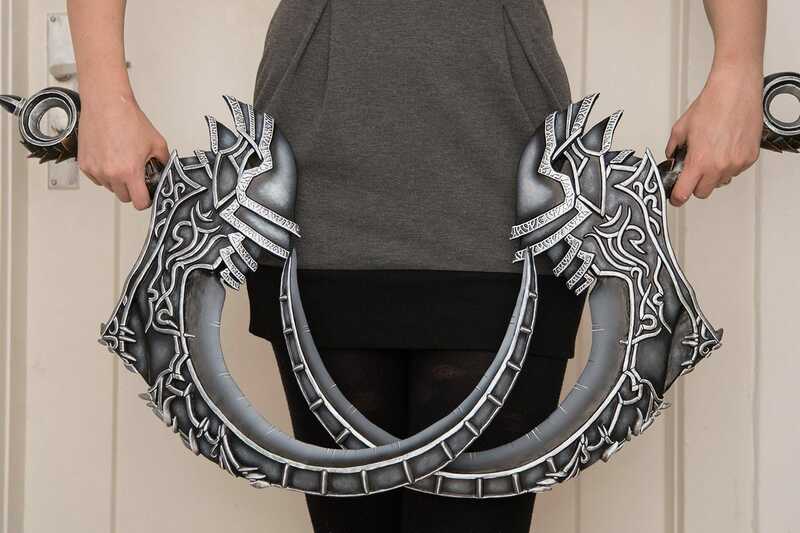 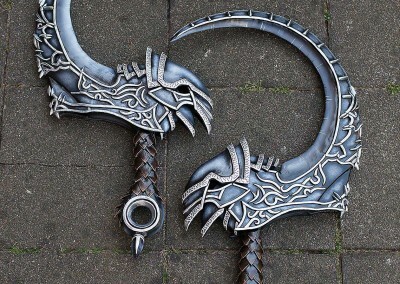 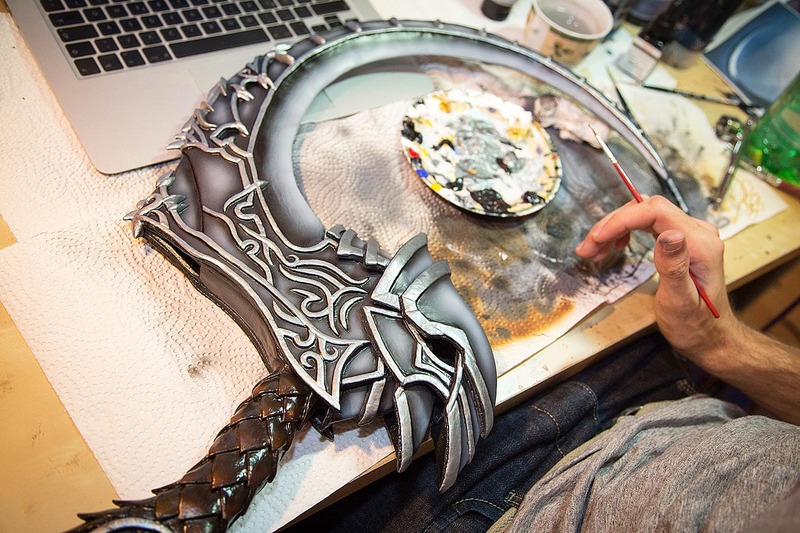 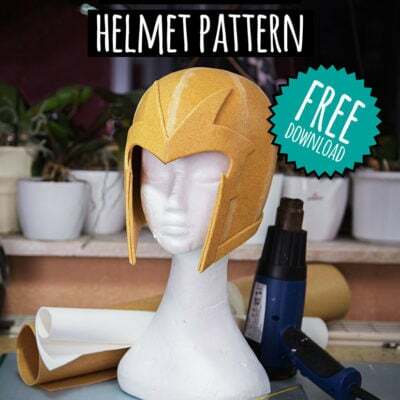 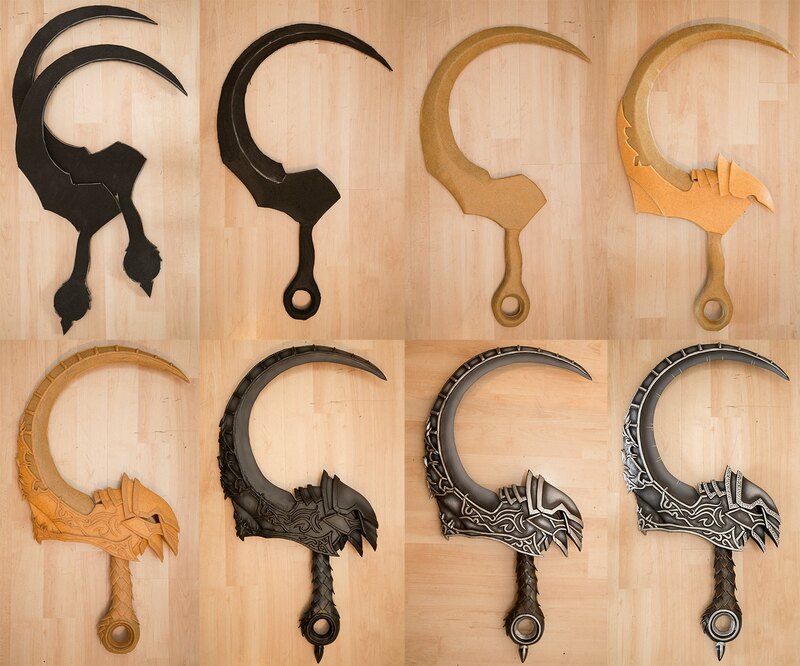 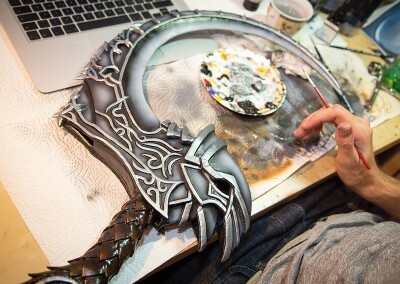 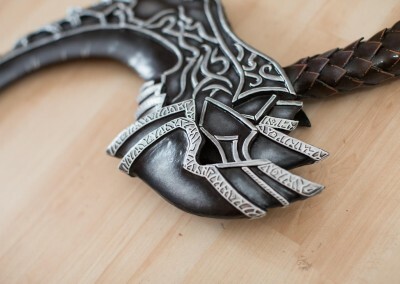 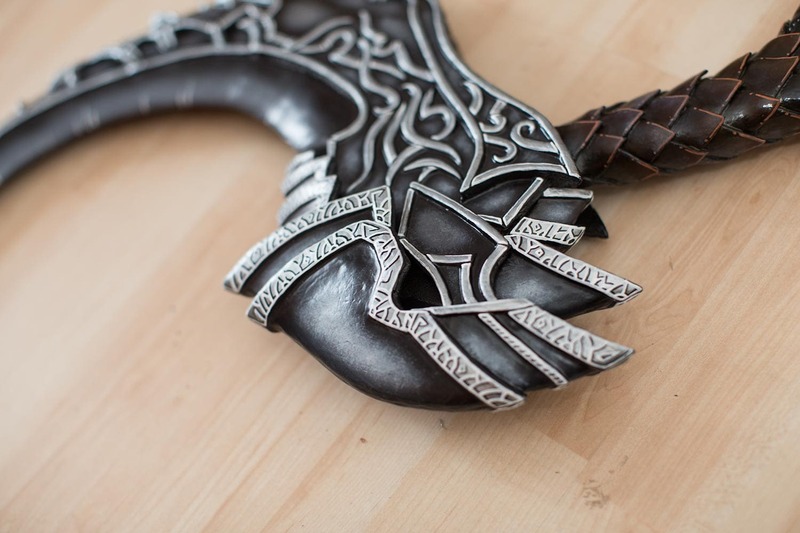 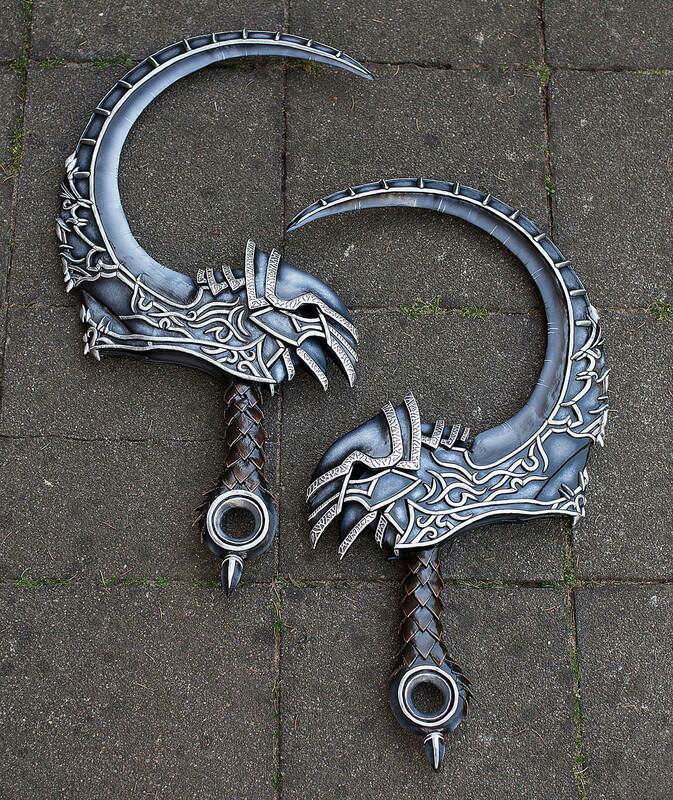 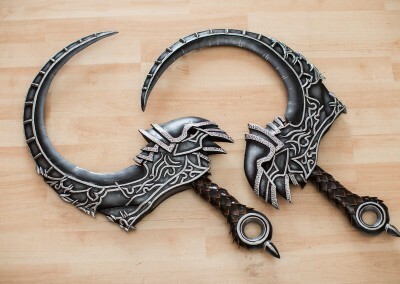 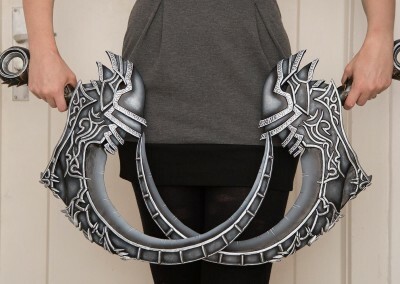 The scythes consist of EVA foam as the base as well as a lot of Worbla for the details.